How to plant out violet? To take care of the violets is not particularly necessary, it is only necessary to observe some conditions in which it will grow well. Any windowsill perfect for violets. But, it should be noted that direct sunlight is unfavorable for plants. The flower can be put on table or shelf, but the light intensity will be lower. To form a symmetrical rosette, twice a day, turn the flower in a circle ninety degrees. Good growth of violets is observed when light of fluorescent lamps. Fabricate a small shelf and set fluorescent lights. The distance between the lamp and pot of flowers, must not be less than thirty inches. You need to seriously care for violets if their leaves are bent up or down. Such signs indicate a lack of or excess of light. For optimal flowering, the plant needs 12 hours a day to light. If this time the plant is in the light, the full flowering time will be. The most optimal temperature for violets is room, it is 20-22 degrees. If the flower is constantly at this temperature, the leaves it will be strong, but flowering will be prolonged. However, and 14 degree temperatures violets are easy to carry, but provided that there is no waterlogging of the soil. "The cold period" even beneficial. It is generally abundant flowering. 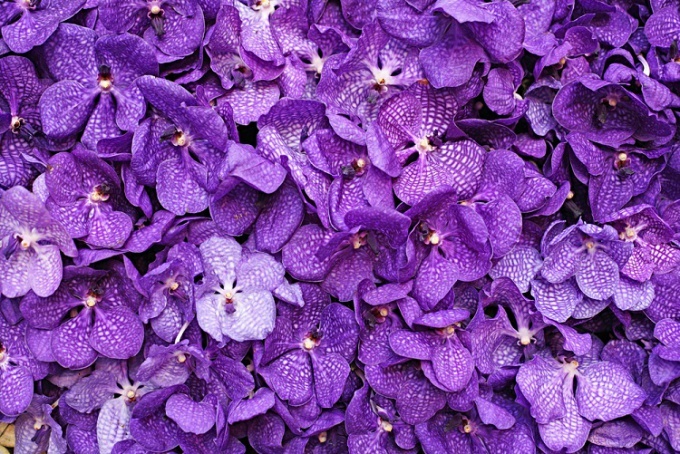 The air humidity in the fifty-sixty per cent is best for violets. Therefore, the best place for flower – kitchen, where it is constantly in the preparation of steam coming from the food. The winter is better to stock up on pallet with a material that provides moisture retention, because in this period the air is very dry. Do not place flowers in drafts and cold air. For watering, you can use the water from the tap, after letting her settle for 2 days.